How I Gained It: At age 6 I had a growth spurt that made me noticeably bigger than my peers. I spent my youth on the heavy side. When I graduated high school, I managed to lose some weight and was down to around 160 pounds. I gained weight steadily through my first two to three years of college. I was eating a lot of meals out and not getting much exercise. I primarily ate fried foods and drank a lot of soda and other calorie-filled beverages. Breaking Point: When I was 21, I was starting to have knee pain and trouble breathing while I took even short walks on campus. I had to get to all of my classes early to find a desk I could fit into. I went to the doctor about my shortness of breath and found out I weighed 320 pounds. 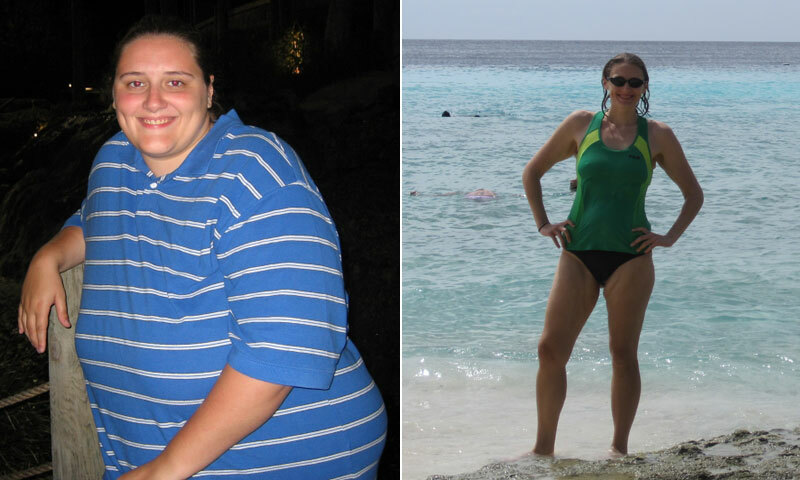 I’d never seen the scale go over 300 pounds prior to that, and it was a huge wake-up call. During the same doctor’s visit I did a blood test and the results showed that I had nonalcoholic fatty liver disease, which meant my liver was in danger of becoming cirrhotic. I decided then that I had to change my lifestyle. How I Lost It: The first thing I did was visit my on-campus nutritionist. She introduced me to the concept of tracking my food intake and making meal plans. I was shocked by the amount of calories in some of my favorite foods, like chicken tenders and bacon and cheese omelets. I immediately decided to stop drinking soda and quickly realized fried foods weren’t an option either. I used a calorie-counting website and kept my intake around 1,600 calories per day. 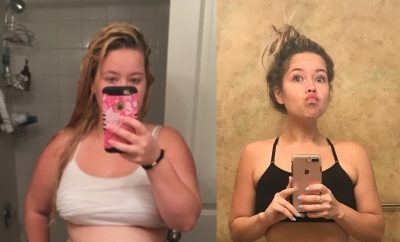 I learned to cook and to enjoy eating more foods, and lost the first 70 pounds within about six months. That was late in 2006. 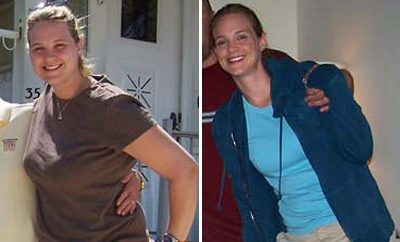 I stopped eating fast food in 2007. I started exercising regularly in 2010 and took up running in 2011. 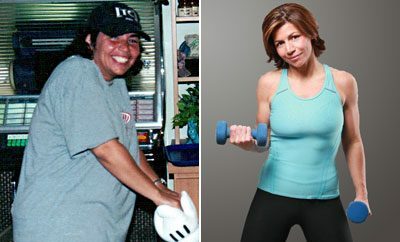 In 2012, I switched to an entirely plant-based diet, and now I exercise six to seven days a week. I maintain a blog about my journey. I am currently training for my first half-marathon. Great job. Be proud of yourself. Amazing!! you must feel so great!!! Congratulations……looking great and I bet your feeling even better…..? You are a inspiation to me just starting this journey. Amazing,need strong will to do it.good for you. Great job! Congratulations! You look Great! I bet you feel better and healthier! I’m working to lose my weight as well and realize it will take time. I have already lost 23 lbs.in 4 months and still going! I will remember your achievement and continue to tell myself that I too can do it! Thank you and keep heathy! God Bless! Way to go!! I need some inspiration and you guys rock!!! Wow! Congrats girl! You look fab! How did you get rid of the extra skin? Looking good girl! Keep it up! I’m a 39 year old mother who weighs 215lbs I’m trying to lose weight but I also have diabetes type 2 and high bold pressure and now I have a under active thyroid and I’m on medicine for all that and now they found out I’m anemic so I have to start taking iron 325mg a day. I just want to lose weight but it’s so hard . Any advice will help. Way to go, you look good! Awesome …. thanks for the insparation! Good girl. Looking good. I am counting my calories also, but going down very slow. The Weigh We were.com…How do I get featured for your page..my name is Benita Albert and I have lost 110Lbs through exercise and changing my eating habits..I wanted the surgery but my insurance refused to help…I was 415 and I weighed in today at 305!! !..Goddd isss sooo good! CONGRATS TO YOU CARRIEEEEE….YOU ARE MOTIVATION FOR ME!!! Wow, thanks for the inspiration! Thank you for sharing ur story. Very inspiring. You look beautiful. Those pictures are really inspiring! Tony Rankin did they tell you that you had that liver condition? Read story.